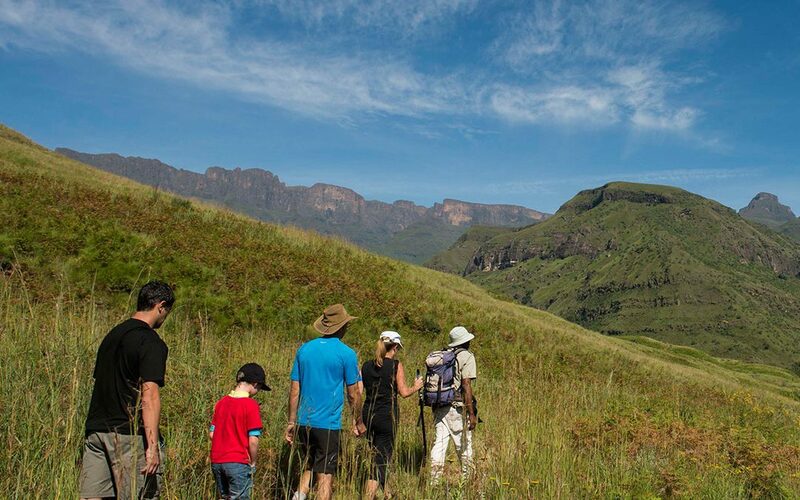 Whether you’re a hiking aficionado or just a casual stroller, you really can’t get much better than a walk through the Drakensberg. With rambling peaks and valleys providing unrivalled views, a huge collection of Bushmen art, and a staggering variety of animal, bird and plant life, this World Heritage Site is truly a trove of natural treasures. The free-standing Cathedral Peak, at an astonishing 3004m high, is the most recognisable and arguably the most beautiful peak of the 200km mountain range. Comfortably nestled at the base of this stunning summit is the Cathedral Peak Hotel, a luxurious retreat from the hustle and bustle of the city. A stone’s throw from 18 walks and hikes for any fitness level, the hotel is the perfect place to relax after a mountain exploration. Before you head for the hills, however, let’s run through a few helpful tips and tricks, and a few things to look out for when you’re planning a hike. The Drakensberg is home to some wild and unpredictable weather patterns, so it’s crucial to check the time of year and ensure you’re not getting yourself into trouble. From October to March, afternoon thunderstorms are a regular occurrence and any walks should be completed well before midday. September to April sees high temperatures and humidity, as well as potentially-dangerous periods of rain and mist shrouding the summits. Bear in mind that river levels will be raised when it rains. The hike from the Cathedral Peak Hotel to the Fern Forest, for example, requires that you cross the Umlambonja River, which is too high to cross after heavy rains. Enquire at reception before heading off to ensure that conditions are favourable. The period from May until August is the best time for hiking, with long spells of mild weather and stable skies. These idyllic stretches are broken by cold fronts bringing rain and often heavy snowfall, but this only adds to the majesty of the views when the heavens let up. Your hiking group is only as strong as its weakest hiker. Bear this in mind when selecting a hike, as there is nothing more uncomfortable than being the person who’s holding everyone back, nor are there many things more frustrating than having to break your pace for a less-able hiker. There is a staggering variety of hikes through the Drakensberg for any level of fitness. First on the list is a pair of good hiking shoes. Make sure they have been broken in before you embark on a long hike, and complement them with a thick pair of socks for extra comfort. Next up is clothing: don’t wear cotton, as it retains moisture, but rather go for a synthetic material that keeps you dry and warm. Last but not least, bring a hat, sunglasses and sun block to protect yourself from the sun. The Drakensberg can be a dangerous place for the unprepared. 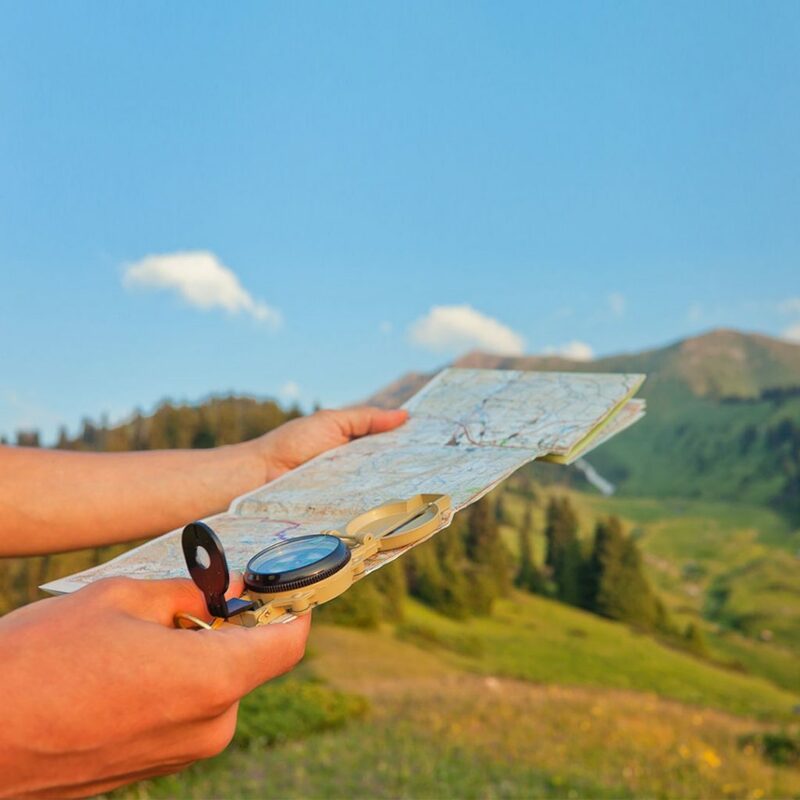 Make sure you have a map, a compass, at least 2 litres of water per person, extra food, a headlamp, sunscreen, a first aid kit and a whistle or something to catch attention in case you need help. Save all emergency numbers on your phone, and remember – while a cell phone is an invaluable tool, it becomes a useless hunk of plastic and glass the second the battery runs out. Make sure it’s charged before you leave, but don’t rely on your phone alone. Never go hiking alone. Ideally, you should try and hike with at least two other people for safety’s sake. You should also tell someone where you will be and what time you are expected to return – if things go wrong, they will be able to help safety professionals find and rescue you. At Cathedral Peak Hotel, you can inform reception of your hiking plans to make sure that someone knows where to find you should you stay out too long. Don’t get put off by all the prep – that’s just there in case things go wrong. 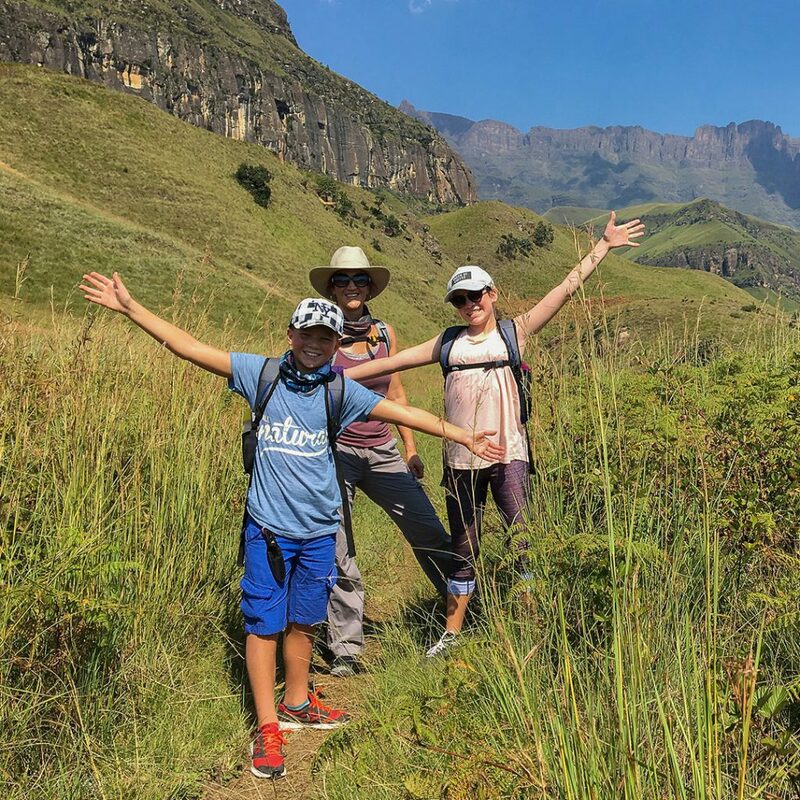 If you’re well-prepared and know enough about the area, hiking through the Drakensberg is one of the most amazing experiences you can hope to have. Keep an eye out for the estimated 290 species of bird and 48 species of animal, track down some of the 20 000 rock paintings, and discover the snow-capped peaks, majestic waterfalls and magnificent forests that this World Heritage Site has to offer! Cathedral Peak Hotel organises guided hikes every morning, with experienced guides who know just where to find the best rock art, views and geological features. Enquire at reception for more details, and take advantage of the stunning natural beauty surrounding the hotel! Book your stay today to discover the world of luxury and adventure that awaits you at Cathedral Peak Hotel!